In The Hunt, players explore some of North America's most famous hunting locations, where they will be able to stalk and hunt their prey using a variety of different firearms including bolt-action rifles, shotguns, pistols, bows and knives. To help them in their hunt, players will use Bass Pro Shops gear and equipment such as calls, scents, blinds and a uniquely designed GPS device to guide them to their prey. 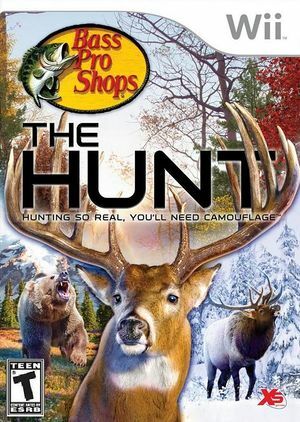 The Hunt features three game modes: Quick Hunt, Career Mode, and the Bass Pro Shops Continental Classic Hunting Championship as well as four mini-games (Target Range shooting, ATV Racing, Blind Fire, and Coyote Cruise). The graph below charts the compatibility with Bass Pro Shops: The Hunt since Dolphin's 2.0 release, listing revisions only where a compatibility change occurred.